Parents all over the world declare that they love their children so much that they would even die for them. In most countries that would be a hypothetical situation. In Israel it is not. Honoring Ro’i Klein, 10 years after the Second Lebanon War. This is the spirit of Israel. Meet Ro’i Klein. Look at his face. Doesn’t he look like a sweet and gentle man? 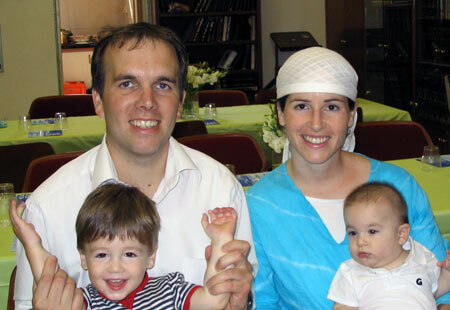 31 years old, husband to Sarah, father of three year old Gilad and one and a half year old Yoav, Ro’i (pronounced “Row-ee”) was supposed to celebrate his birthday on July 27th. Admired for his calm peacefulness and constant smile, Ro’i was known for saying: “If I don’t do it, who will?” Many of Israel’s best say that exact same thing. People who live in other countries do not understand why we Israelis love our soldiers so much. We keep saying that we hate war and violence, loving our soldiers doesn’t seem to fall in line with that sentiment. Ro’i Klein and others like him are the reason why. Sometimes it disappoints me that Americans who have it so good spent so much time complaining they have it so bad. They haven’t a clue. Frustrating. Thank you for sharing this story. Thanks for reading… you got the point exactly, see a different example and be inspired. Everyone can do better in their own lives and at the very least be more appreciative of what they have.